This page may require cleanup to meet basic quality standards. The specific problem is: we lack gamefront patch (and extensive instructions to use it) and everything here just refers to GOG.com version (retail is also a thing) . You can help by modifying the article. The discussion page may contain useful suggestions. Includes "The Nightmare Levels" expansion. 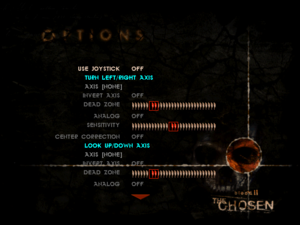 Blood II v2.1 fixes various issues (requires Patch v2.0). dgVoodoo stabilizes performance and is essential for getting Blood II to run on modern systems. Run dgVoodooSetup.exe and click on DirectX tab. Uncheck "Disable Alt-Enter to toggle screen state". Set "Antialiasing (MSAA)" to the desired samples. Click Apply. Go to the MS folder and copy D3DImm.dll and DDraw.dll to the installation folder. If you are having issues getting DgVoodoo working you could alternatively try this wrapper. Note that it automatically limits resolutions to prevent the high res crash, though this can be disabled in the settings. Widescreen patch only supports up to 1440p. Setup dgVoodoo to enable Alt+↵ Enter shortcut. Setup dgVoodoo to enable MSAA. Setup dgVoodoo for stable performance. Cutscenes are too fast, cutting off characters voice lines. Mouse is also jerky. Download Blood II - high resolution fix. Extract to the installation folder and overwrite. 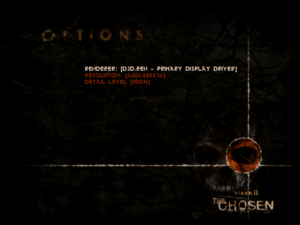 Download Blood II - widescreen patch. Extract the ".REZ" files to a "Custom" folder in the installation folder. If the Custom folder doesn't exist, create it manually first. 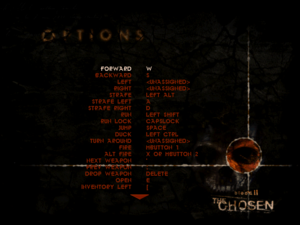 Run Blood II launcher, click on "Customize", select either "WidescreenPatch.rez" for Blood II or "WidescreenPatchNm.rez" for the Nightmare Levels and click on "Add". Whenever you enable and disable the Nightmare Levels you have to add the right patch and remove the other one. Make sure that "Always load these rez files" is checked and click "OK". Click on "Advanced" and paste +ScreenWidth 1920 +ScreenHeight 1080 +FovX 100 in the Command-Line field. Adjust the values according to the resolution and horizontal FOV you want to play with (FOV parameter is optional). Make sure that "Always specify these command-line parameters" is checked and click "OK". The GOG.com version has trouble detecting any joysticks. For co-op use the Co-op addon. Whenever using Alt+Tab ↹, the game crashes with the error message: "Client MFC Application has stopped working". See Run Blood II on modern systems. Crashes with 1000+ pixel height resolutions by default. 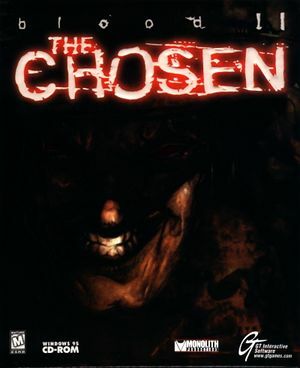 Download the Blood 2 The Chosen Windows 10 patch. 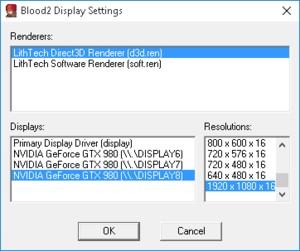 If you want to use the high resolution fix, disable the resolution limiter in DxWnd in this fix. 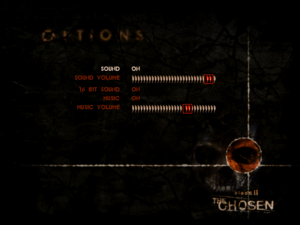 Download Blood 2 Music Patch. Go to the installation folder and edit autoexec.cfg. If the line doesn't already exist, add it manually. Can be set in the launcher, but may revert back to default. Occurs with dgVoodoo's windowed mode. Install and run Borderless Gaming. Press ⊞ Win+F6 to set game window to top left corner. Replace path-to-game with the actual installation folder for the game. If you want to start the Nightmare expansion just replace "BLOOD2.REZ" with "BLOOD2NM.REZ" and "Custom/WidescreenPatch.REZ" with "Custom/WidescreenPatchNM.REZ". Any additional command-line arguments you wish to use can be added before the word "exit". Save as a new file with the .bat file extension. Start the game by double-clicking the .bat file you created. ↑ 3.0 3.1 File/folder structure within this directory reflects the path(s) listed for Windows and/or Steam game data (use Wine regedit to access Windows registry paths). Games with Steam Cloud support may store data in ~/.steam/steam/userdata/<user-id>/299050/ in addition to or instead of this directory. The app ID (299050) may differ in some cases. Treat backslashes as forward slashes. See the glossary page for details. This page was last edited on 12 February 2019, at 18:54.